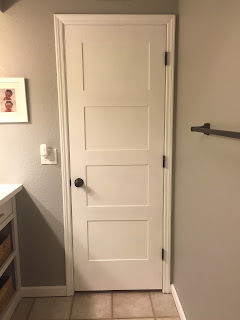 They were dark, and the brass handles added to the outdated look. 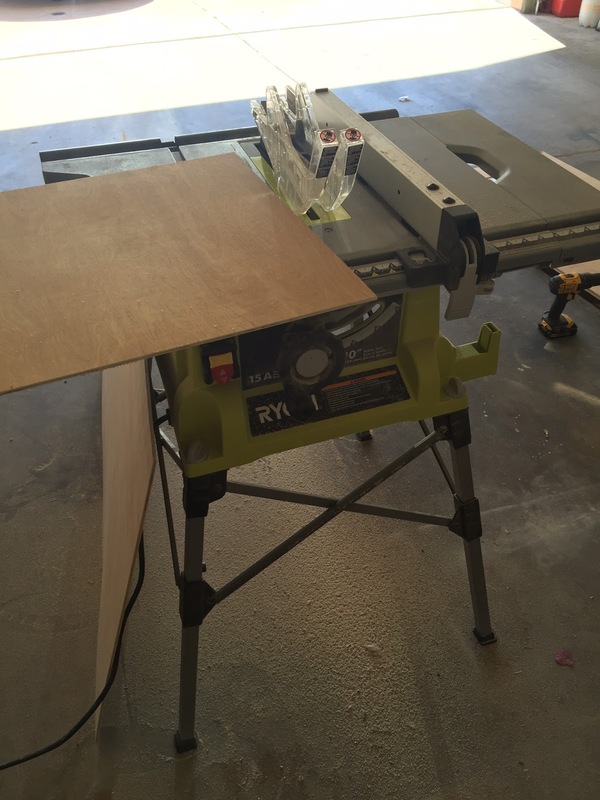 We started with 1/4 inch hardwood plywood and ripped it down to 4 1/2 inch strips using our table saw. 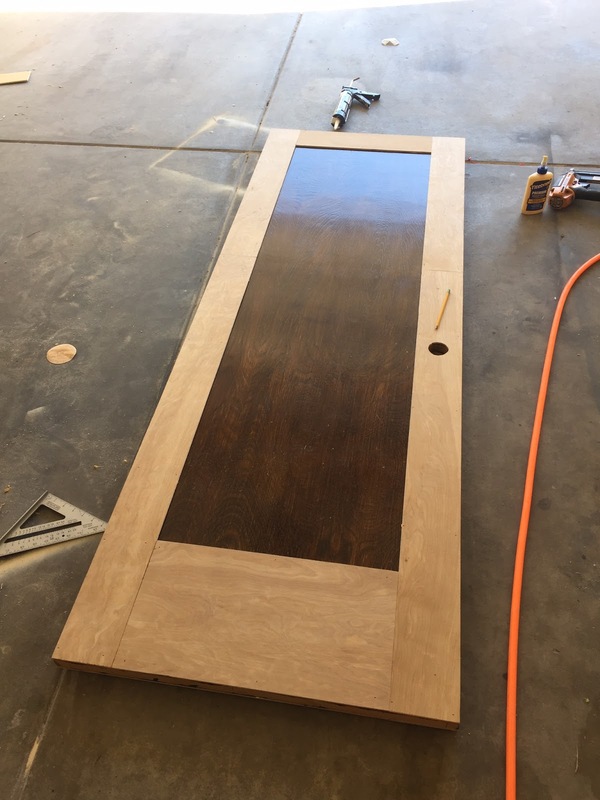 Then, we laid all the pieces in place to make sure everything fit well and lined up. 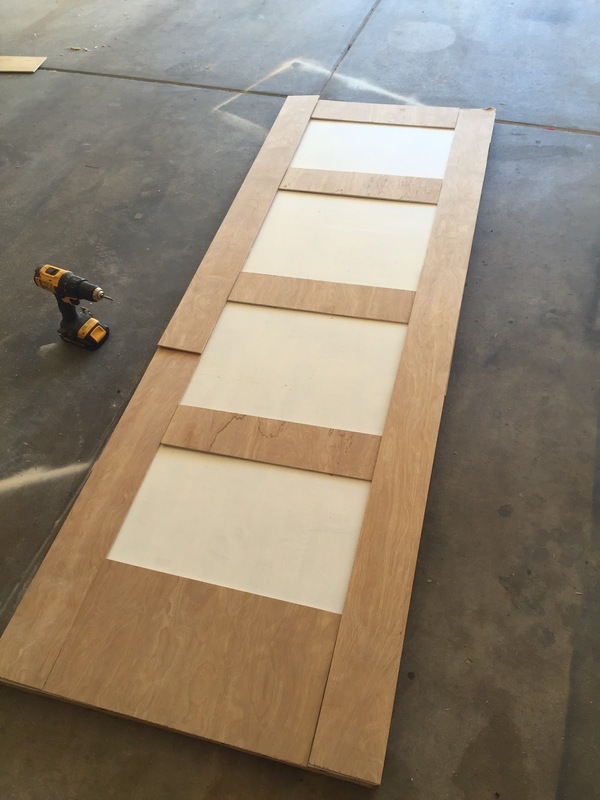 Next, we used wood glue to attached the strips of plywood to the doors. We attached the outside pieces first, then the horizontal ones. 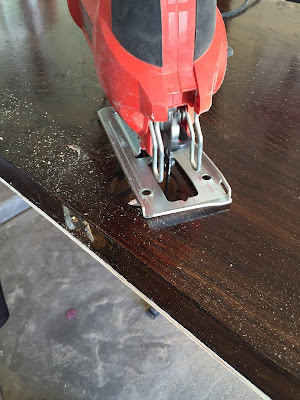 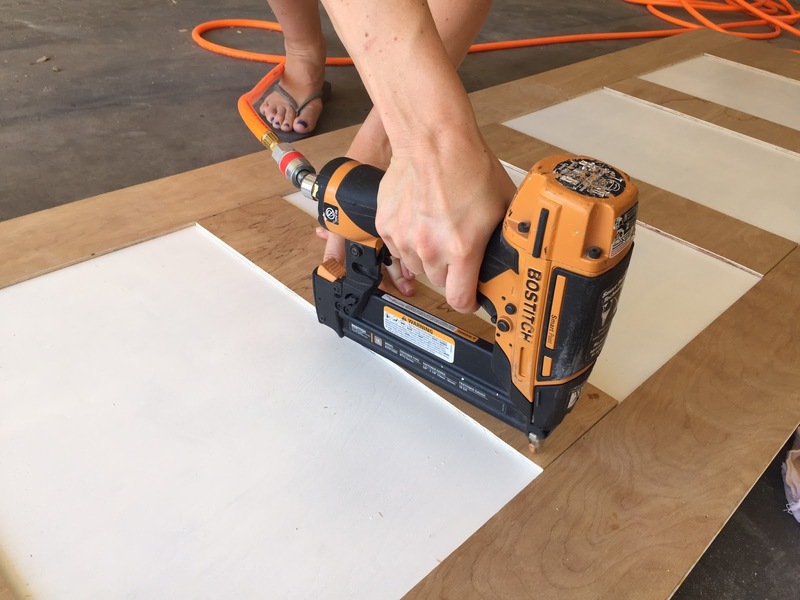 We finished securing the plywood with our nail gun. 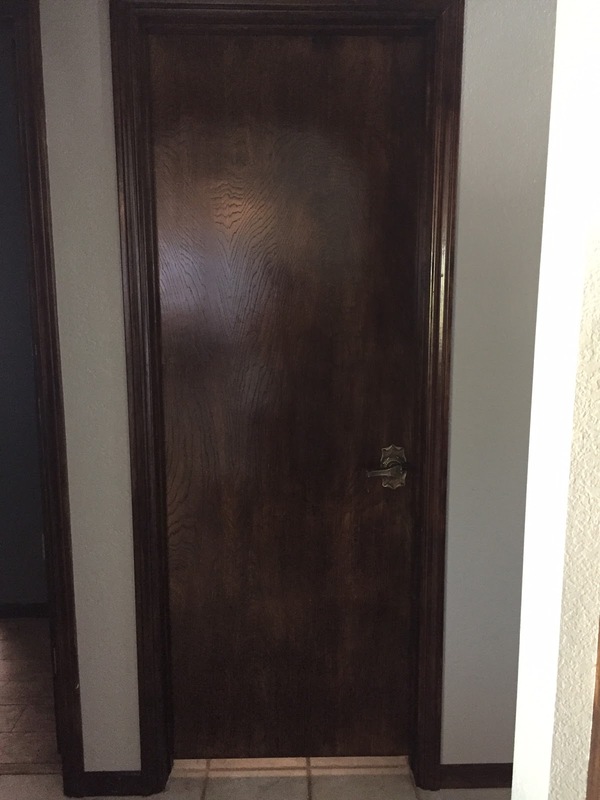 We flipped the door over to cut out the hole for the door nob. 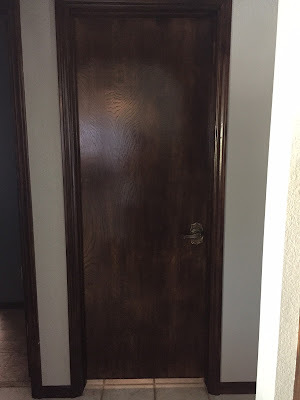 Then, did the same process on the other side of the door. 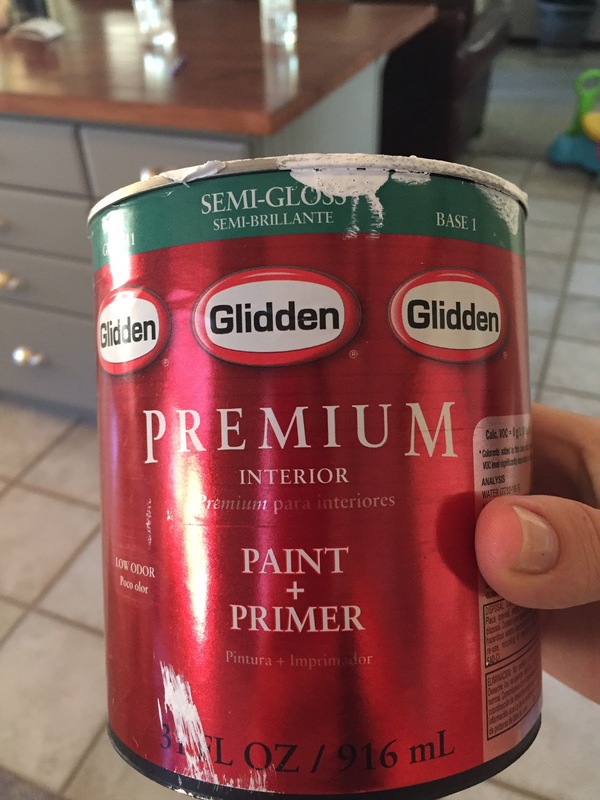 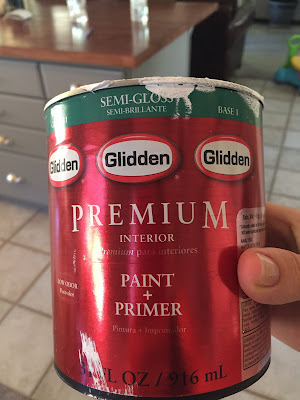 After caulking and filling in the nail holes and a quick sanding, we used this Semi Gloss, Glidden paint and primer. 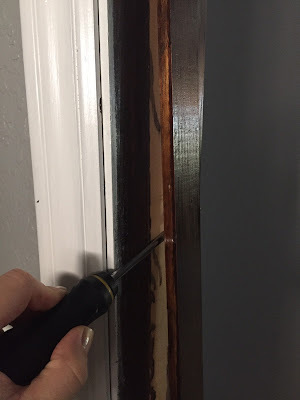 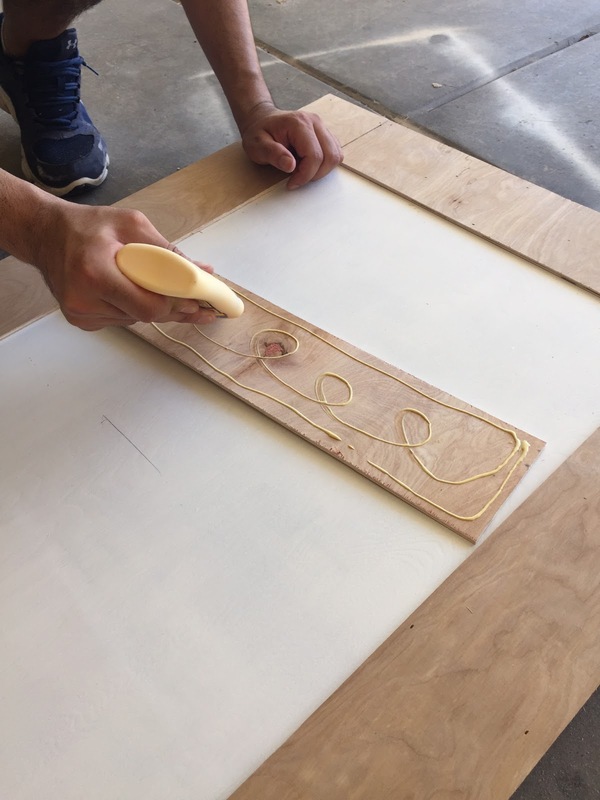 By adding the plywood to the doors, they became a little thicker than they were before so we needed to take off the wood stopper that surrounds the door in order for it to close properly. 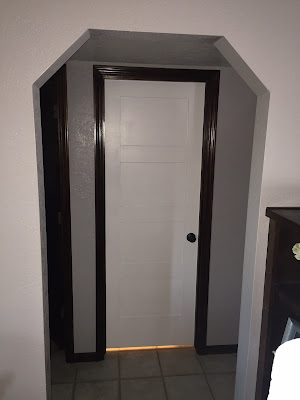 Then we hung the doors back up and added the stoppers back on, and new door nobs. Here's a photo from inside the bathroom, with the trim painted white. 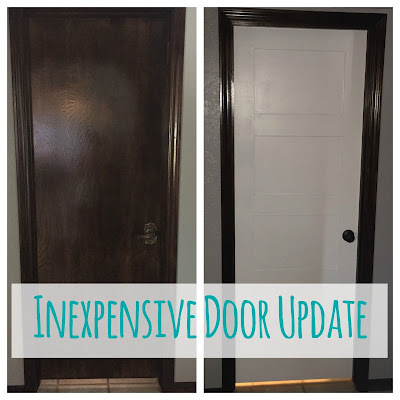 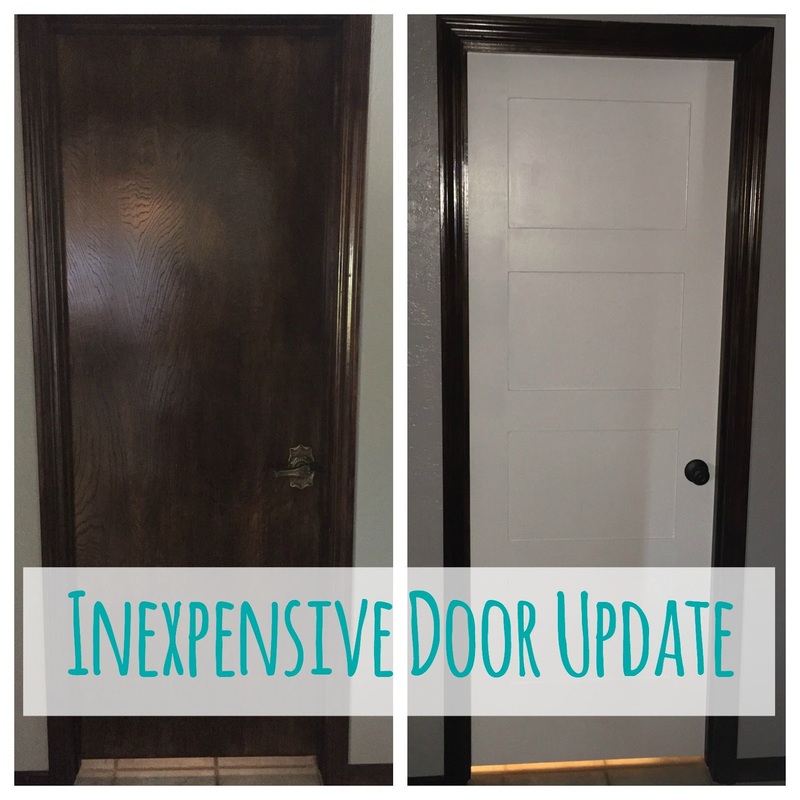 We are thrilled with the results and can't wait to do the rest of the doors in the house!